Participation in a program that connects people who are homeless and have severe mental illness to housing quickly led to greater improvements in housing stability, quality of life, and community functioning one year later, according to a study in Psychiatric Services. 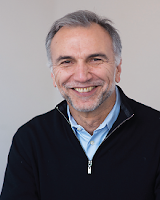 For the study, Sam Tsemberis, Ph.D. (pictured left), founder of Pathways to Housing and the “housing-first” model, and colleagues compared one-year outcomes in 950 high-need individuals participating in Housing First (a program that helps individuals establish stable housing within a year without requiring treatment or sobriety restrictions) with treatment-as-usual programs (including shelters, general medical health, addiction, social services, and more) across five Canadian cities. In-person interviews were conducted at the beginning of the study and at six and 12 months; participants’ housing history was documented every three months. At the 12-month follow-up, 73 percent of Housing First participants and 31 percent of treatment-as-usual participants resided in stable housing. Participation in a Housing First program also produced improvements in overall quality of life compared with treatment-as-usual participants and greater improvements in community functioning compared with treatment-as-usual participants. The Washington Post recently featured a profile of Tsemberis, where it describes how the housing-first model is leading to gains in efforts to keep homeless people off of the streets across the country.